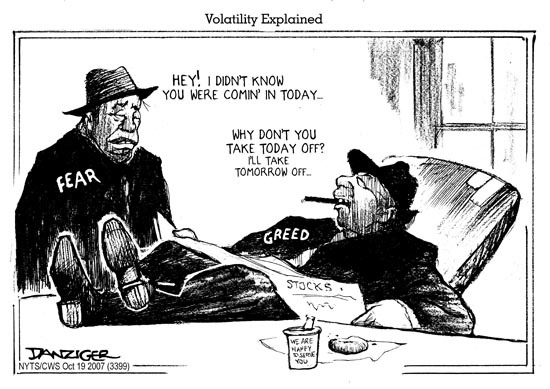 Investors are unequivocally greedy today, and with some perspective it is hard to blame them. After all, stocks are at all-time highs…. are they? And the markets, financial media continues to encourage risk taking with the most expansionary positive note on the present government big bang reforms like FDI in insurance, Coal divestment , tabled GST in the lower house of the parliament and the Budget expected in the couple of months. Risk has become a thing of the past as it feels like an eternity since we’ve experienced a real correction. Volatility I will not comment on it as it’s an integrated feature of market and stocks now, which further engenders confidence in the belief that buying equities here is a risk-free transaction. Why is any of this a problem? Isn’t confidence a good thing which will only lead more and more people to buy in, aka the “greater fool”? It certainly can be and most of the time sentiment data is just noise.